Used in the early 1800s in England as a hunting dog, the Bedlington likely had ancestry in the Otterhound and Dandie Dinmont Terrier. 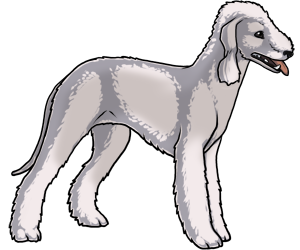 The breed got its name from the Bedlington Mining Shire in Northumberland, England. Today, the Bedlington makes for a good family pet when trained right and may also excel in fast-pace dog sports such as agility. 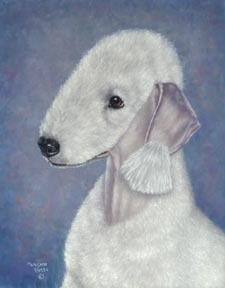 The Bedlington does shed less than most other breeds and is said to be a good dog for someone who suffers from allergies given that they are kept well groomed. The breed was originally known as the "Rothbury Terrier" after the district of Rothbury on the English border.